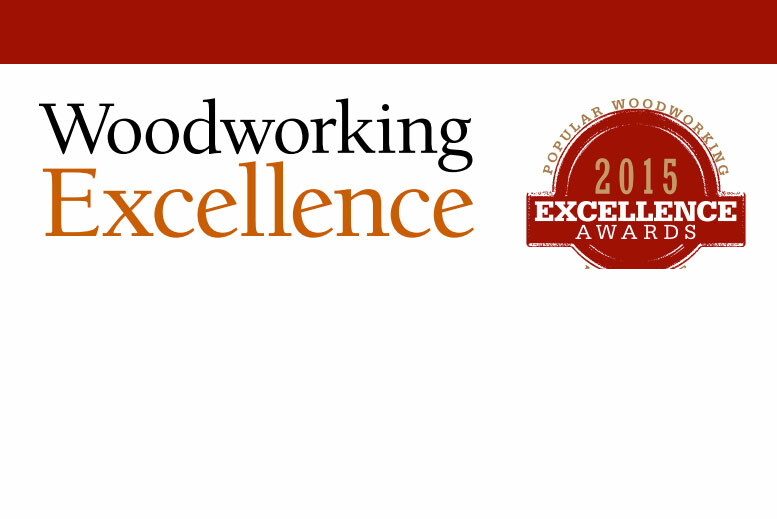 Welcome to Authentic Wood Carving work shop. 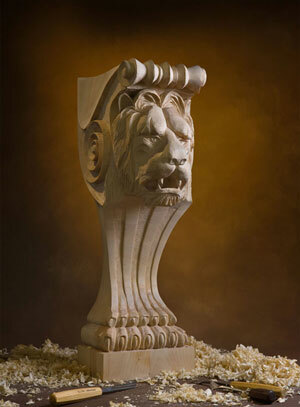 Are you interested in custom wood carving? 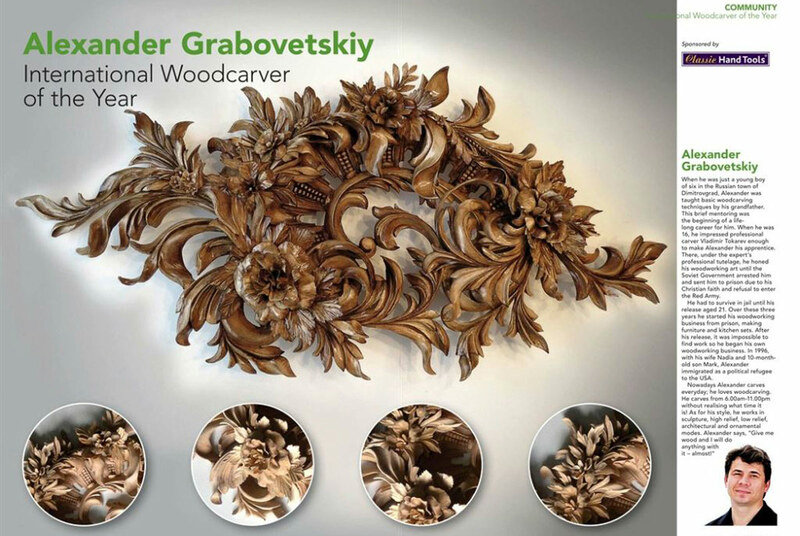 Welcome to the website of Master Wood Carver Alexander Grabovetskiy, internationally acclaimed artist and master of decorative and architectural wood carving. 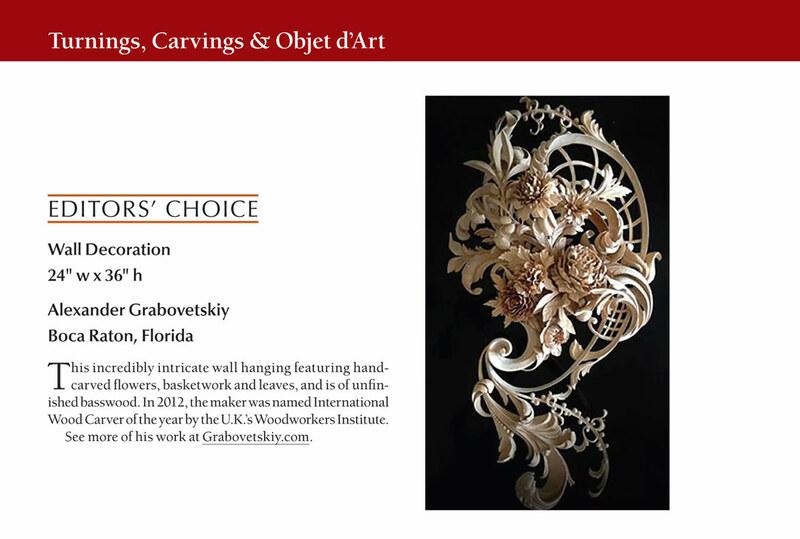 Winner of the coveted title of International Woodcarver of the Year, awarded by the Wood Worker’s Institute, Alexander Grabovetskiy is widely considered one of the finest and most talented Master Wood Carvers in the world today. This exquisite hand carving is a time honored craft passed down for centuries from one skilled artisan to the next. The techniques used today to produce true works of art in the form of hand carved furniture and other intricately beautiful wood sculpture are the same as have been used for hundreds of years….no power tools, no sanding to eliminate the chisel marks that are the same as an artist’s brush marks of paint on canvas. From the Ancient Greeks to Medieval times, the Renaissance period, Victorian era and on up until today; Master Wood Carvers have produced treasures that grace royal palaces and architecture of all kinds including the highly ornamental Baroque Style, Rococo Style, Period Style and celebrated Modern Style. Decorative wood carving imparts a timeless grace and beauty to furniture with every piece totally unique and unlike any other in the world. Anyone who values distinction and wants no part of “cookie cutter” mass produced furniture will thrill to the beauty of a piece made by a woodworking artist using the same tools and techniques used thousands of years ago. The custom wood carving of Master Wood Carver Alexander Grabovetskiy can be found in luxurious homes around the world. 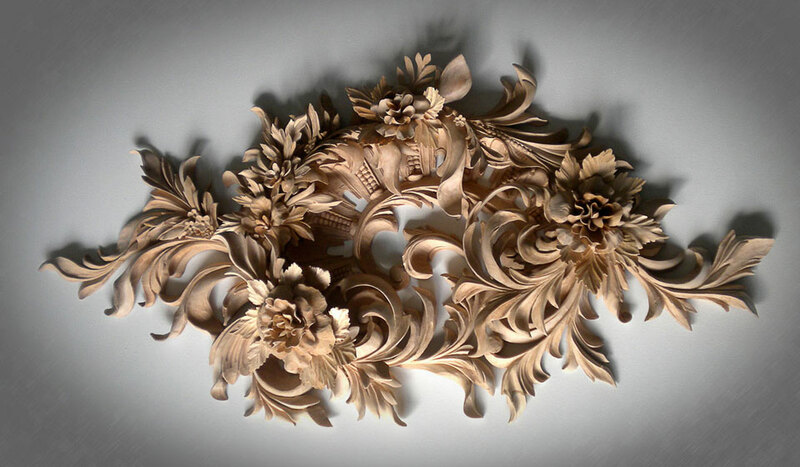 If you want architectural carving with a Grinling Gibbons look, Alexander Grabovetskiy can produce ornamental wood carving using a True Human touch that is far and away superior to anything that can be created with power tools. This custom wood carving can add a new dimension of style to your office or home and is ideal for those who want an update without replacing cabinets, shelves, mantels or other wooden pieces. Think of this decorative wood carving as jewelry that will be a beautiful embellishment to existing items. You might be surprised to discover that even a small piece of high end wood carving applied to a piece of room architecture such as a fireplace mantel can have a big impact and transform the look of a room; taking it from boring to brilliant. 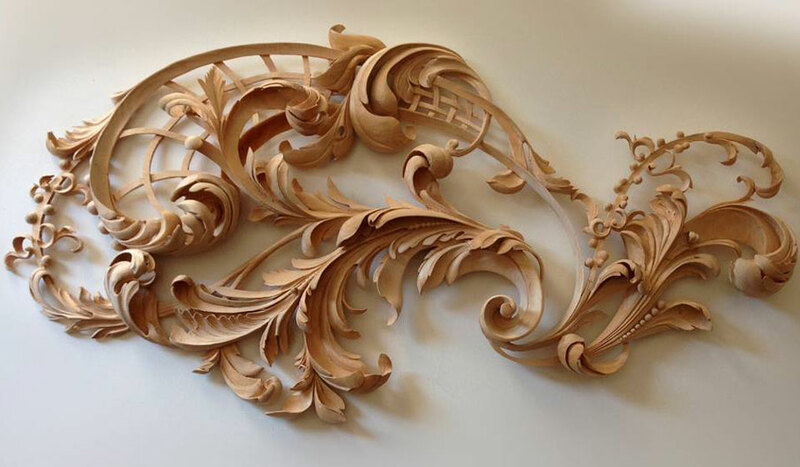 Custom wood carving is highly decorative. 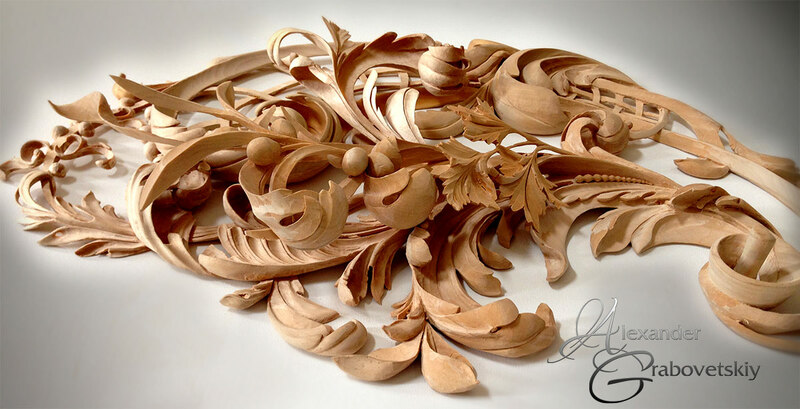 A Master Wood Carver like Alexander Grabovetskiy might be thought of as a wood sculptor. Just as Michelangelo sculpted marble, a woodworking artist can take a piece of wood and create a work of art…a thing of breathtaking beauty. For those who want to imbue their surroundings with a timeless grace and sophistication, touches of decorative carving will do all of that and more. If you want unique, one of a kind, custom wood carving projects hand crafted from rich woods such as European linden, mahogany, white oak, cherry and other fine quality woods; Master Wood Carver Alexander Grabovetskiy can deliver stunning creations that will lend your home a look of elegance and opulence seldom found these days. 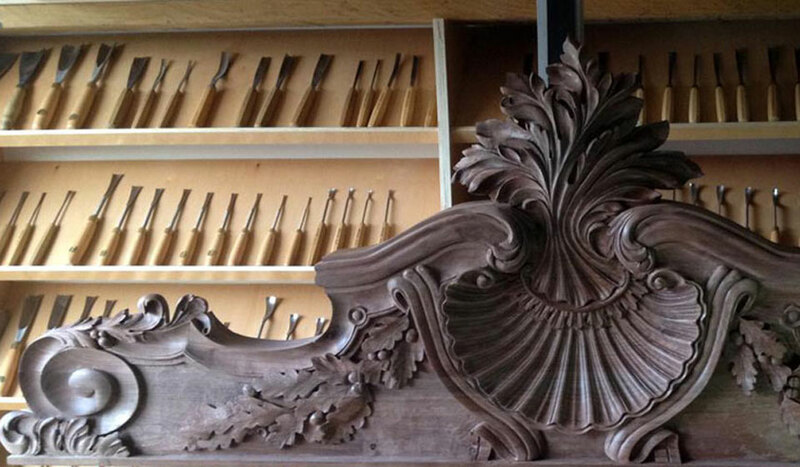 For grand hotels, community structures that house the arts such as opera houses, theaters or art galleries, as well as luxurious offices and other types of buildings; high end carving can impart a distinctive, elite look that will add value to any property while pleasing every eye.